Most of us see only what happens on or above the surface of Morro Bay. We spend time watching the ripples and white caps move across the water, sailboats slip by, and sea otters floating while they rest. We look up at Morro Rock to watch peregrine falcons bring food to their chicks, or to see the fog roll in and encompass it almost entirely. The fog rolled in this afternoon, enveloping all but the base of Morro Rock. 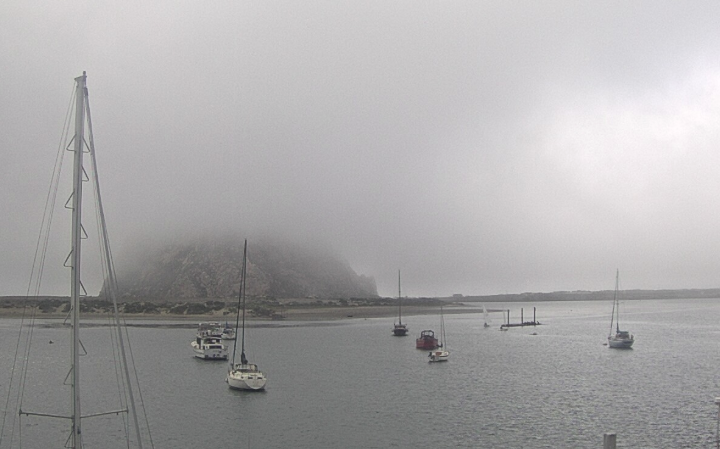 This image is from our Baycam, which provides a live view of Morro Bay at www.mbnep.org/baycam. Not as many of us get to see what happens below the water’s reflective edge. Estuary Program staff are some of the lucky people who get that view. They’ll catch a glimpse of a bat ray moving below their paddleboard (a.k.a. their floating desk), or they’ll see a California sea hare inching across the sandy bottom of the bay while they are snorkeling to monitor eelgrass beds . 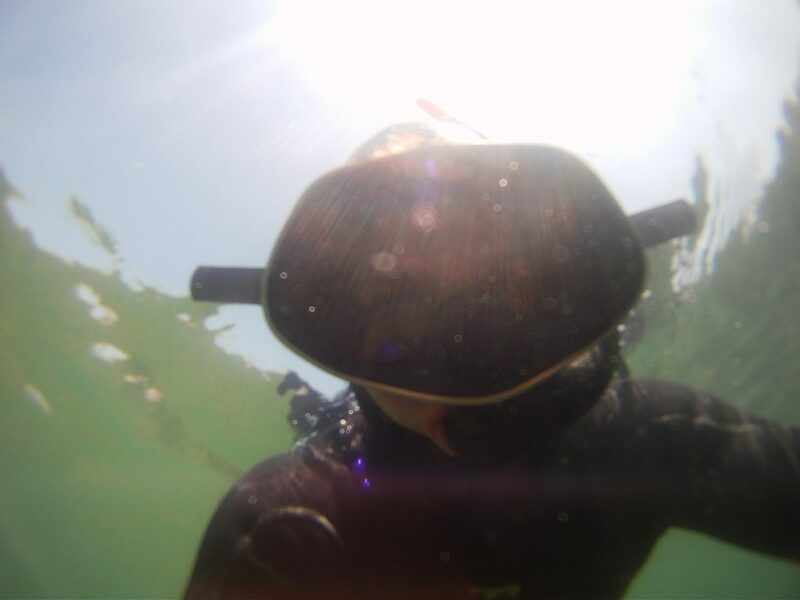 One of our staff members caught himself on camera while snorkeling to monitor the health of eelgrass beds. Today, we’re sharing some of their underwater discoveries with you. 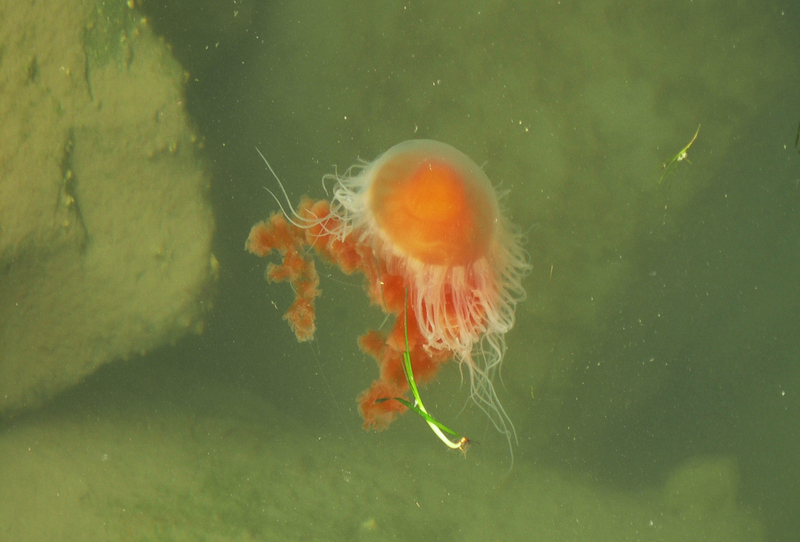 On days when Morro Bay is calm and the water is clear, you can see some amazing things near the bay bottom. 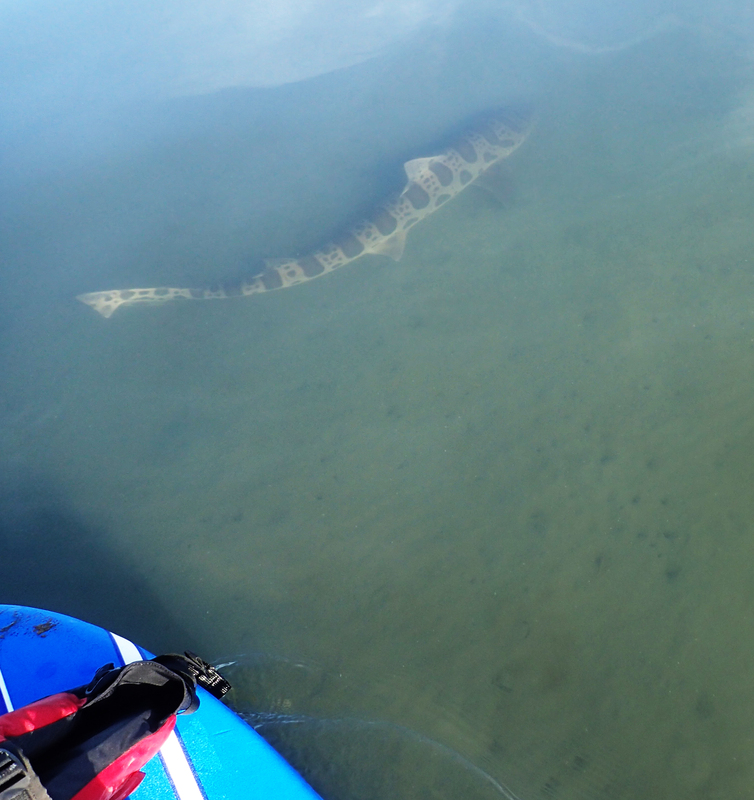 This leopard shark swam by well below a staff member’s board on one lucky day in the field. Leopard sharks, horn sharks, and swell sharks are the only shark species that are found routinely in the Morro Bay estuary. This is a lion’s mane jelly. They are typically found farther north, between the arctic and Washington state, but they occasionally make their way south as far as California. This one was spotted in the forebay. 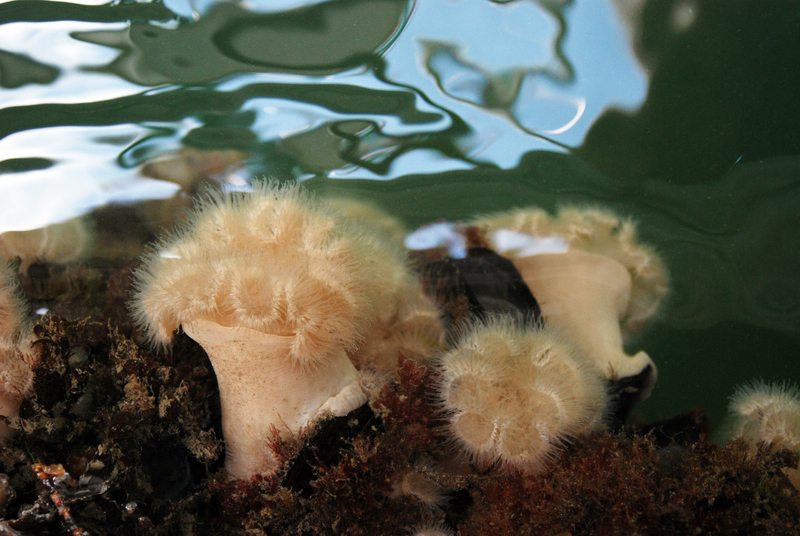 Estuary Program staff found these anemones growing on the side of a dock just off the Embarcadero. It’s amazing what you can see if you take a moment to look down! The video below will take you diving in Morro Bay, giving you an underwater look at eelgrass beds and the incredibly diverse wildlife that find food and shelter there. Underwater footage in the video, Essential Eelgrass in Morro Bay, is courtesy of John and Pam Ridgely. For more posts like this one, subscribe to the Estuary Program blog.